The dark web is an enabler for the circulation of illegal weapons already on the black market, as well as a potential source of diversion for legally owned weapons. Although the arms trade is small in volume compared to other products trafficked online, its potential impact on international security is significant. The proliferation and illicit international movement of firearms and explosives worldwide involves a complex mix of interrelated issues. Despite efforts to regulate firearms, there are multiple avenues for entrepreneurial criminals to bypass controls and traffic weapons across international borders. This issue has emerged as particularly relevant for EU security, despite the stringent firearms control measures. One possible avenue is via the ‘dark web’, which hosts many different online black markets that facilitate the sale of firearms, weapons, explosives and banned digital materials. 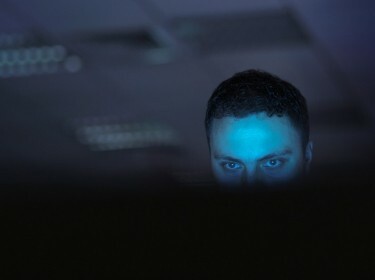 The role of the dark web has grown in prominence in recent years following its link to the 2016 Munich Shooting, where a lone-wolf terrorist used a weapon purchased on the dark web. These terror attacks cemented widespread public concern that the dark web is an enabler and facilitator for terrorists and organised criminals seeking firearms. However, despite these concerns, very little is known about the size and scope of the weapons trade on the dark web. RAND Europe and the University of Manchester partnered to conduct a study commissioned by the Economic and Social Research Council through the Partnership for Conflict, Crime & Security Research. The study aimed to explore the worldwide illegal arms trade, with a focus on the role played by the dark web in fuelling and/or facilitating such trade. To understand the methods of buying and selling firearms and related products on the dark web. To consider the viability of dark web markets for the selling of firearms, and more specifically, the extent to which these sellers may engage in scamming by taking payment for products they do not deliver, or may not possess. To estimate the value of the trade in firearms and related products on cryptomarkets. To identify shipping routes and the most common shipping techniques for firearms and related products sold on cryptomarkets. To identify the potential impact of dark web enabled arms trafficking on the overall arms black market. To identify the potential implications of dark web enabled arms trafficking for law enforcement agencies and policy makers, at both national and international levels. A review of relevant literature including peer-reviewed academic literature, grey literature sources from official, government, and other relevant organisations, and web-sourced contributions from respected commentators and independent researchers within the dark web community. A review of dark web community resources on the ‘clear web’, including websites used to identify marketplaces and provide information and commentary on recent developments related to cryptomarkets. A review of dark web community discussion forums to shed light on the question of scamming by firearms vendors. A preliminary investigation of cryptomarkets to identify those selling firearms. Crawling, scraping and analysing data on cryptomarkets data, in the form of ‘digital traces’ left in connection to marketplace transactions. Consultations with policy and law enforcement experts through an expert workshop and individual interviews. The dark web is increasing the availability of better performing, more recent firearms for the same, or lower, price, than what would be available on the street on the black market. The US appears to be the most common source country for arms that are for sale on the dark web. Almost 60 per cent of the firearms listings are associated with products that originate from the US. This is followed by a selection of European countries, which account for roughly 25 per cent, while unspecified locations of origin account for roughly 12 per cent. However, Europe represents the largest market for arms trade on the dark web, generating revenues that are around five times higher than the US. Firearms listings (42 per cent) were the most common listings on the dark web, followed by arms-related digital products (27 per cent) and others, including ammunition (22 per cent). Pistols were the most commonly listed firearm (84 per cent), followed by rifles (10 per cent) and sub-machine guns (6 per cent). The trade in arms-related digital products poses additional complex challenges. These products are often guides that provide tutorials for a wide range of illegal actions, ranging from the conversion of replica/alarm guns into live weapons, to the full manufacture of home-made guns and explosives, and also include models that can be turned into fully-working firearms through 3D printing. 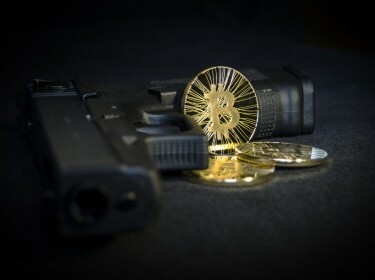 The overall value of the arms trade on the dark web based on the 12 cryptomarkets analysed in the study is estimated to be in the region of $80,000 USD per month, with firearms generating nearly 90 per cent of all revenue. Due to the arms trade on the dark web, every month there could be up to 136 untraced firearms or associated products in the real world. Estimates on the value and volume of the arms trade on the dark web may include a certain percentage of fake listings or transactions, particularly among vendors of firearms. However, it is challenging to ascertain the extent of scamming on the dark web. The dark web is unlikely to be the method of choice to fuel conflicts because arms are not traded at a large enough scale and due to the potential limitations on infrastructure and services in a conflict zone. On the other hand, the dark web has the potential to become the platform of choice for individuals (e.g. lone-wolves terrorists) or small groups (e.g. gangs) to obtain weapons and ammunition behind the anonymity curtain provided by the dark web. In addition, the dark web could be used by vulnerable and fixated individuals to purchase firearms. 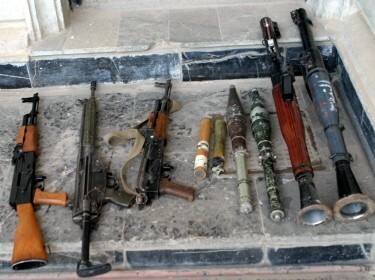 The illegal arms trade presents further challenges for law enforcement agencies and national governments. These challenges largely derive from the anonymity of individuals that use the dark web to purchase arms. The dark web introduces a new platform enabling arms trafficking at a global scale. Despite the relatively limited value and volume of weapons traded on the dark web compared to either other products type (e.g. drugs) or to equivalent products trafficked offline, the potential impact on internal security is significant as demonstrated by recent ‘lone-wolf’ terrorist attacks in Europe. The development of the dark web will require policy makers and law enforcement agencies to adapt intervention strategies, ensure that proper regulatory frameworks are in place, ensure that adequate resources are made available and ensure that specialist skills are developed. The dark web does not produce new weapons; it merely acts as an enabler of trafficking, with weapons and ammunition having to be shipped and delivered in the ‘real world’. Therefore, good traditional policing and investigative techniques will remain vital in responding to this threat. In addition, traditional firearms control measures designed to tackle illicit trafficking remain of the outmost importance to reduce the availability of illegal firearms. These include efficient marking and record keeping practices, international cooperation for tracing, and good stockpile management. Existing international instruments for combating arms trafficking should not be considered obsolete. The validity of some instruments should certainly be examined and perhaps require amendments, but the emergence of a new threat does not necessarily require the creation of new instruments. The study represents the first attempt to collect and analyse primary data related to the sale of firearms and related products on the dark web. In order to generate a more robust understanding of the role of the dark web in enabling arms trafficking, a more continuous monitoring activity should be implemented. This would involve repeating and refining the data collection and analysis presented in this study over time in order to generate historical data that can be used to analyse trends. This would also involve a more rigorous assessment of the validity and applicability of current national and international counter-arms trafficking regimes, including policies, laws and regulations, actors and resources. Bitcoin and the Dark Web: The New Terrorist Threat? Bitcoin has become the prominent currency of the dark web, which is often used to buy illegal goods, such as weapons and drugs. Anecdotal evidence suggests terrorists are using cryptocurrency and the dark web, but further investigation is needed. Illegal drug transactions on cryptomarkets have tripled since 2013, with revenues doubling. But at $12-21 (€10.5-18.5) million a month, this is clearly a niche market compared to the traditional offline market, estimated at $2.3 (€2) billion a month in Europe alone. The challenges identified in South and Southeast Asian countries in relation to ATT accession or ratification are predominantly issues at the ‘system level’, rather than specific capability or capacity gaps. Solving them requires a process-oriented approach, which has to be contextualised at the national level to ensure validity and sustainability. The ability to arm criminals and terrorists, who can make virtually anonymous purchases, is perhaps the most dangerous aspect of the dark web.